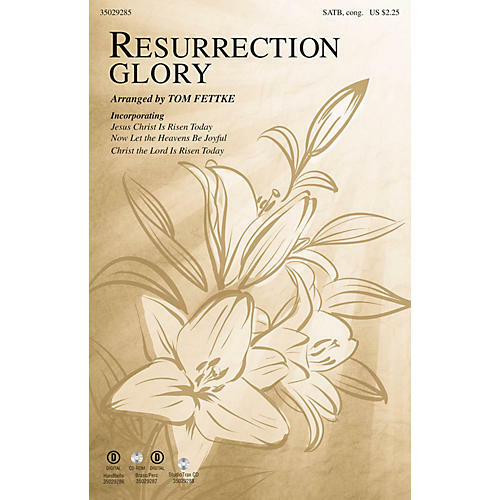 Uses: Easter, Eastertide, Hymn Arrangement Scripture: Matt. 28:5-6 This octavo is an Easter gathering of hymns to awaken the alleluias of praise in your choir and congregation. Putting three time-honored tunes and texts together in a successful musical mosaic, the arrangement gives equal treatment to all vocal parts creating rich, encouraging harmonies and powerful vocal effects. The final hymn, Christ the Lord Is Risen Today has a soaring descant that lifts the Easter declaration to the skies. Available separately: SATB, Digital Handbells (3 octaves), Orchestration (Score and parts for Trumpets 1-3,(Horn sub. for Tpt 3) Trombones 1&2, Timpani), StudioTrax CD. Duration: ca. 4:04.